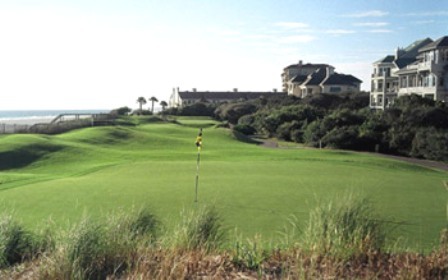 The Golf Club at North Hampton is an 18-hole semi-private golf course located in Fernandina Beach, Florida. 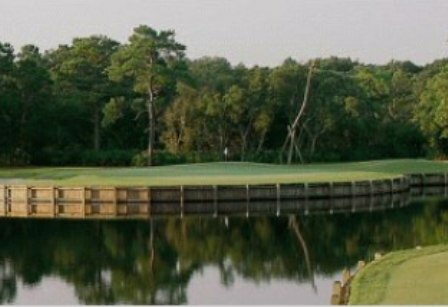 The Golf Club at North Hampton opened for play in 2001. The course was designd by Arnold Palmer. 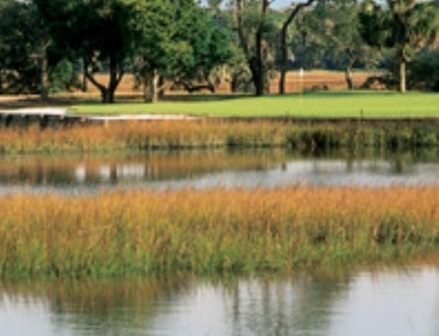 The course is a par 72 championship design. 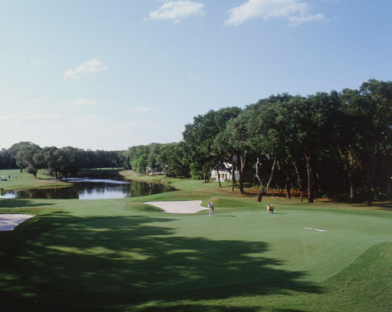 The front nine has a dramatic 625-yard (from the tips) 2nd hole with a woodland setting. 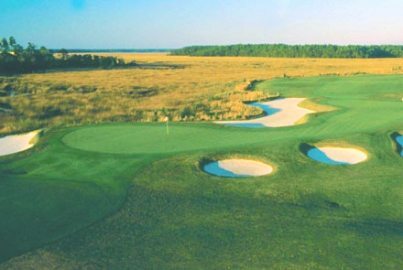 The back nine has an open, links-land feel,with natural sand areas planted with native grasses, dramatic elevations, and two great par 5's including #15, a double dogleg 562-yard challenge. The fairway dips down before rising to a dramatic crest guarded right by bunkers. A lake further right is to be avoided. Over the crest and not visible from the tee is another lake that looks like a quarry. From the top of the crest you hit down to a landing area bunkered on the left and guarded further left by another lake which runs up to and behind the green. 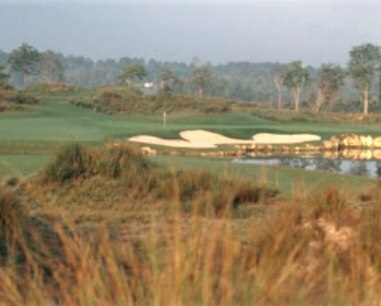 The course has 6 sets of tee boxes to accomodate al levels of play. The boxes play to 7171 yards, 6752, 6363, 5872, 5173, and Burgundy set at 2,914 for beginners and youth. This is a great course. Complementary balls on the pitching green and putting green. Super GPS in carts. However after playing this course two more times this vacation I have come to believe Arnold Palmer does not really like high handicappers. As beautiful the course is, it's difficulty is greater. Hitting the ball in the fairway is a necessity. also looking at the GPS to see how far it is to the next hazard is a must. There is water everywhere and the rough is ROUGH. Even the rough in front of the green is about 3 inches high. High enough to keep a ball from rolling on to the green on a drivable par 4. But very enjoyable to play. Come and enjoy the course. I forgot to mention they give you complementary tees and ball repair tools. Not an easy course, but a fair course. Depending on which tee box you choose there can be a number of holes that you have a long carry just to get to the fairway. 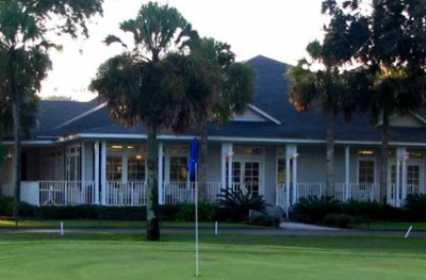 This course is ranked the 7th best public course in Florida. It is very nice. They have a putting green, chipping green and a driving range. 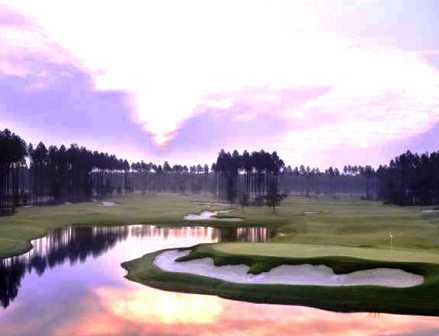 The winter twilight fee starts at 2PM, but you could tee off earlier. The carts come fully equipped with GPS and a screen showing the layout of the hold. It even tells you where the people playing ahead of you are. Mr. Palmer did a good job of laying out the course with big greens that were quite fast. Hope everyone takes care to fix their ball marks. There is water everywhere on this course. 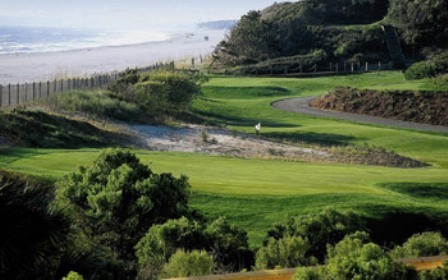 Sometimes on both sides of the fairway.It's about 10 miles from the beach, but well worth the drive. Fairways were in great shape.